Game of Thrones is a wildly popular show, yet it can also be difficult to figure out how to watch. Check out how to watch Game of Thrones for free. Game of Thrones is a wildly popular show, yet it can also be difficult to figure out how to watch it if you don’t have an expensive cable or satellite plan or an HBO subscription. Well, I’m here to show you the best way to watch Game of Thrones for free. In this video, I talk a bit about what Kodi is and what Exodus is. Then, I give you a demo to show just how easy it is to launch Kodi and start watching the latest episode of Game of Thrones in just a matter of seconds. But one thing first, I do recommend you use a VPN with Kodi. You can find out more about why a VPN is necessary with Kodi in this article. In the video, I reference another tutorial that you’ll want to check out if you’re new to this. 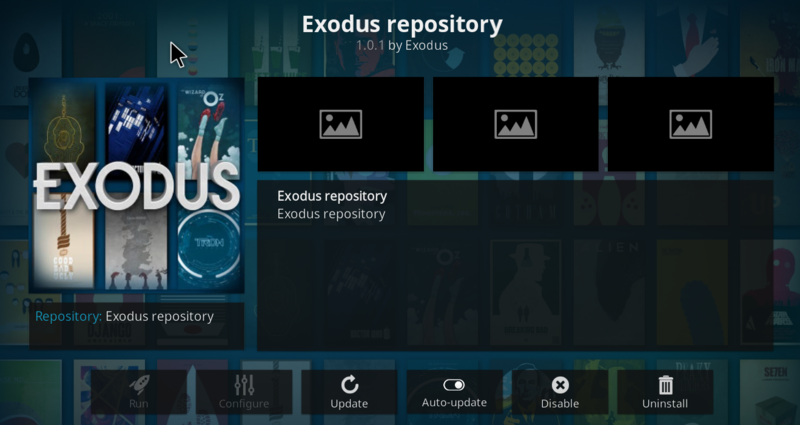 Click here to learn how to install and configure the Exodus add-on in Kodi. I hope this was helpful for you. If you want to learn more about what you can do with Kodi, please feel free to browse my Kodi posts. Questions or comments? Please leave a comment below and I will get back to you. Thanks! I have several of these cheap MXQ boxes available from sellers on eBay. I also have ano Amazon Fire TV Stick. I’m still dipping my toe in the water really but the boxes are serving me quite well. I have two around the house and I keep one to go on holiday with – just in case there’s a network connection available. I get notifications from time to time informing me that there are Kodi upgrades available. What is the procedure and how easy is it to upgrade Kodi on the MXQ boxes? Given that Kodi is almost certainly always preinstalled with a build that is preferred by the eBay seller, is it not simpler to just use the Fusion build for TV Addons when upgrading. I’might still a novice who wants to learn and would really appreciate your guidance. For the time being, I wouldn’t mess with it, until you have reason to think that MXQ is not supporting you anymore, and then I suggest you take control of it yourself like you suggest. However, I’m not sure I would go with the Fusion build. I’ve heard some pretty bad stuff about that on YouTube recently about them installing add-ons that delete other add-ons and such. If it comes to that, I would recommend you stay away from any builds and try to just install Kodi fresh from kodi.tv and install your repositories yourself so you are in control of your Kodi upgrades and all the add-ons should update automatically just fine. The option to run Exodus is grayed out? Is there any option that is not grayed out? It sounds like it hasn’t actually been installed or it’s been disabled. Well it’s not disabled alright. plus, you can see the update option is still available but when i click on it, it checks for update, if there are any, it’ll update, if there aren’t, it won’t. but nothing after that. same screen, same issue.